How Much Does a 60×80 Steel Building Cost? A 60×80 steel building is a popular size structure for commercial and industrial purposes. Sunward Steel offers a variety of metal building options for businesses and consumers. 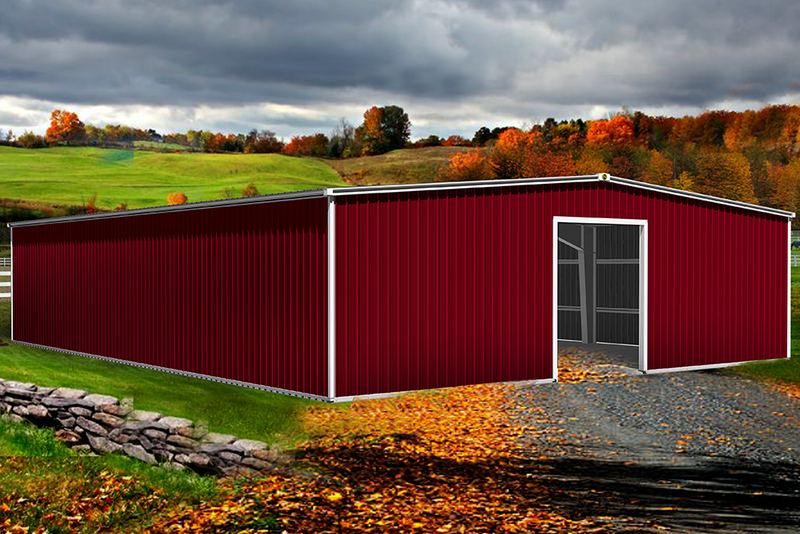 A metal structure this size is typically used as an equestrian barn, airplane hangar, workshop, or commercial office. What will you be using it for? Depending on the specific design, a 60×80 metal building cost will range from $29,500 to $33,600* in total. Keep in mind when working with a steel building company, cost is typically given in a price per square foot value. Square footage rates on a 60×80 steel building are currently running between $6.00 and $7.00* per sq ft. The above components will factor into your cost. For example, a simple storage unit that requires no windows and few doors will usually have a lower price point than an airplane hangar with windows, skylights and bi-fold doors. But certain components are necessary to functionality of your building. Considering purchasing a pre-engineered metal building for commercial or industrial use in your area? Get a custom steel building price quote today.